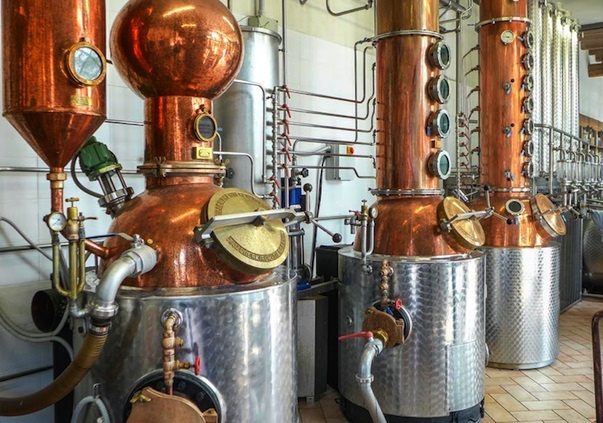 This post is about a grappa distillery that I haven’t had the opportunity to visit, much as I would like to: Capovilla, located in Bassano, near Monte Grappa, in Vicenza province. I had been hearing for some time about Gianni Capovilla, the proprietor, as a sort of grappa-and-distillates genius. More recently, I’ve had the opportunity – in Italy – to taste several Capovilla grappas in social circumstances, and I was very favorably impressed by their purity, and so slowly began to suspend my skepticism. 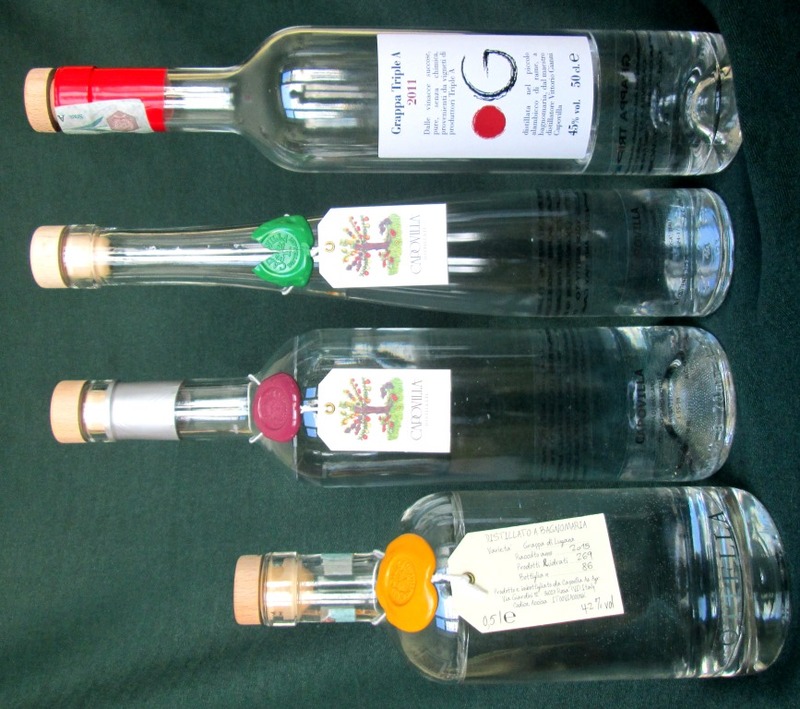 Even more recently, a friend here in New York served me Capovilla’s grappa di Bassano, which I found impressive indeed. And more important, that same good friend told me that at least some Capovilla grappas were now available stateside. The hunt was on. I’ll spare the tedious details: I’ve acquired a few of Capovilla’s products and have tasted them analytically, as well as appreciatively, and my verdict is in: This is a first-rate producer – maybe a bit pricey for some items, but clearly a top-tier distiller. Gianni Capovilla, now in his 70s, began professional life as an engineer, working with agricultural and enological machinery. 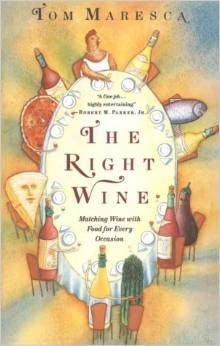 Like so many Italians in the wine and food world, he had to go abroad to learn to appreciate what he had at home. 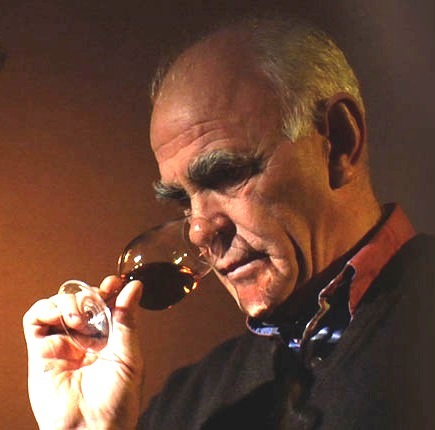 Experiences with quality distillates in France and Germany hooked him, and thirty-some years ago he began making wine, grappa, and fruit brandies. Shortly after he moved entirely into distillation, whose complexities – and the complexity of its results – fascinated him. He quickly attracted attention in Italy, which was itself finally beginning to esteem its home-grown spirits. He is now regarded as one of the maestros, turning out small quantities of almost hand-crafted grappas and fruit brandies – close to two dozen kinds. Of the latter, the ones I’ve tasted are right up there in quality with the far more famous clear fruit distillates of Alsace, and in some cases Capovilla’s are even better. His pear Williams distllato (he makes three different ones, from different kinds of pears) in particular stands out for the delicacy and clarity of its aroma and flavor. He spends much time and attention on his fruit distillates, in some cases cultivating and/or gathering the fruit himself. He even has people bringing in wild fruit for him to distill – though that, as you can easily imagine, is a very small production. Grape pomace, happily, is much more readily available, though even about that, Capovilla is very picky. In grappa making as in Italian cookery, the prima materia is crucial to the quality of the finished product, and Capovilla works with carefully selected pomace from specific regions and vineyards. He makes, for instance, a beautiful grappa di Lugana, clear, aromatic, and deeply flavorful, from the pomace of the Ottella estate near Lake Garda, a first-rate vigneron in the heart of the Lugana zone. Another example, which I’ve not yet had but am eager to try, is a grappa di Ribolla, distilled from the legendary winemaker Gravner’s pomace. 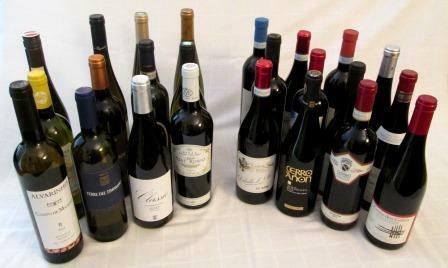 The list goes on: grappa di Cabernet, di Merlot, di Amarone, di Barolo, di Brunello. You get the picture, I’m sure: Gianni Capovilla is a passionate, dedicated craftsman, working intensely to produce grappas and brandies of the highest quality he and his land are capable of. And now I’ve acquired a vocation too: finding and tasting as many of them as I can. 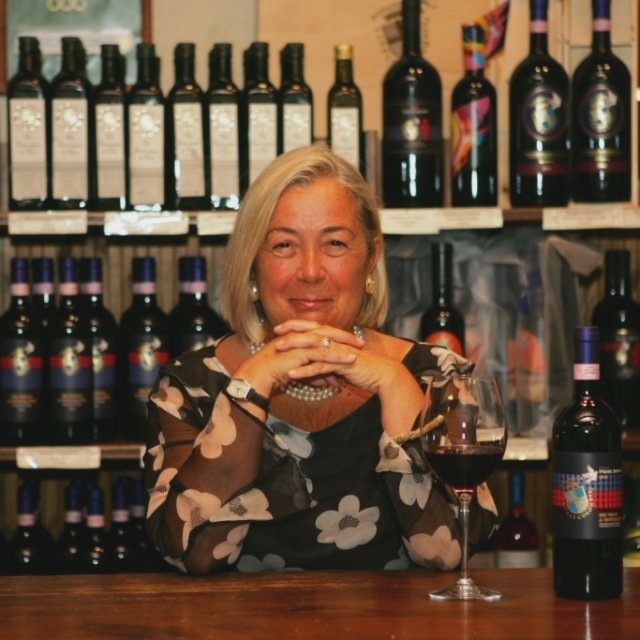 Donatella Cinelli Colombini has lived and worked in the wine world all her life. Her family owns the Barbi vineyards and winery. They have lived in Montalcino since at least the 16th century, and the properties that Donatella now cultivates have passed down the female line for many generations. The most important one, a Montalcino vineyard, used to be called simply Casato; for reasons that will come clear shortly, Donatella has renamed it Casato Prime Donne. The Cinelli Colombini family and the Barbi vineyards played a key role in the invention of Brunello. In the 19th century, one of their ancestors, along with a Biondi-Santi ancestor and a few other individuals in Montalcino, began experimenting with vinifying the local clone of Sangiovese by itself – a heresy of sorts in Tuscany, where blending several varieties had been the traditional way of vinification for centuries. That tradition was powerful enough by itself, and it had only recently been reinforced by the influential precepts of Barone Ricasoli about the way to make Chianti. Nevertheless, the Montalcino pioneers persisted, and so the wine we now know as Brunello di Montalcino was born. For many years, Donatella was generally in charge of affairs at Barbi, running everything from the cheese- and salume-making to the winemaking (Barbi was and still is a complete farm operation), but in the late 1990s she claimed her share of the family properties and set up on her own – “in keeping,” as Kerin O’Keefe dryly puts in her book Brunello di Montalcino, “with the unwritten but solid tradition of most of Italy’s great wine families of not being able to work alongside parents or siblings.” My own sense of the matter is that it was not willfulness on Donatella’s part that led to her departure. But that isn’t important: What does count is what she proceeded to do at Casato, which is to create a winery completely staffed by women – hence Casato Prime Donne. This would be significant anywhere, but in the Italian wine world it was close to revolutionary, and it was compounded by the fact that from the very beginning, she made wonderful wine. I think it’s getting better all the time, as the house’s emphasis is shifting from power to elegance, but even some of the earliest bottles have matured very well. That isn’t all Donatella did. For as long as I’ve known her (Full disclosure: I’ve known Donatella – as well as her mother Francesca and her brother Stefano – for decades now), she has been engaged on many fronts, all linked by her love of the wine, nature, history, and traditions of Montalcino. She has compiled and published collections of local food lore. She even campaigned to save the local species of donkeys. Most important, she created a whole organization for wine tourism in Montalcino and invented Cantine Aperte, an annual event during harvest time when Italian winemakers – who by and large are the antithesis of Napa Valley, totally unequipped to deal with visitors – open their cellars to the wine-loving public. Cantine Aperte has spread from Montalcino all through Italy. Donatella now teaches wine tourism in the graduate programs of three universities. It’s hard to imagine a more complete and more successful life in wine. What spurred this whole lucubration for me was an exquisite bottle of her 1999 Riserva that Diane and I drank about a week ago. I had brought home a gorgeously marbled T-bone steak from Ottomanelli’s, which we simply broiled; and we had found at a sub-astronomical price at Eataly some fresh porcini mushrooms, which we seethed in olive oil along with some sliced fingerling potatoes; and we both felt that a properly aged wine of some real complexity was called for. Donatella to the rescue: The wine was perfect, with all the deep, dark prune-plum-grape-earth elements that Brunello is famed for in perfect balance, and wrapped in a velvet envelope of soft tannins and still-fresh acidity – simply put, at 20 years old, as good as Brunello gets. Savoring it, we reminisced about Donatella and realized how much she had accomplished and how infrequently it is acknowledged. Hence this long overdue tribute to one of wine’s great women. Casato Prime Donne makes all the classic Montalcino wines: Rosso di Montalcino, Brunello, and Brunello Riserva. In addition it produces a special-selection Brunello Prime Donne, which is blended according to the input of a group of prestigious female tasters. The bottles I’ve sampled have been pretty heavy on the fruit, but all showed the kind of structure necessary for good maturation – so I’m hoping to taste some of them again with a little age on them. 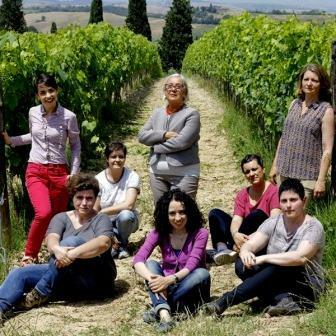 More power to the women, I say, and I’m pretty sure that’s coming: I have no statistics, but a great many of the Italian wine families I’ve visited in recent years seem to have a large number of very capable daughters. If you’re a committed wine lover and need your fix every day, it’s a great advantage to live in New York City. The variety of fine wine available is unmatched anywhere in the world, and shopping is a snap. Let it sleet and storm outside: You can sit at your desk – perhaps sipping a glass of wine – and let your search engine (Wine-Searcher is a good one) investigate for you. That’s especially handy if you know more or less the kind of wine you’re seeking. Even handier is the search service provided by several of the larger retail shops in New York, which allows you to rummage through their entire inventory by any of several different criteria. I’m especially fond of one that Astor Wine and Spirits offers: searching by price range. That’s useful for any number of reasons, but I especially like that it offers me things I might not have thought of, wines outside my usual Italian and French go-to categories. We all get into ruts: This helps push me out of them. Twenty minutes of online browsing and I can put together a case of 12 different whites and another of 12 different reds at prices I like – say between $10 and $20 for everyday wines – and they will probably be delivered within 24 hours. For an aging wino, it doesn’t get much easier. Let me be clear: When I say everyday wines, I mean every day. Diane and I have wine with dinner every night. All right, maybe once or twice a year we have beer, but 99 times out of 100 we opt for wine – and like most people in this galaxy, we can’t afford to drink great wine every time. Not that I haven’t done my best to raise the level of our daily bottle by, for decades now, buying wines young and unready but at reasonable prices and squirreling them away for as long as I could. Besides, it’s not just wine we care about: It’s also and especially what Italians call the abbinamento – coordinating the wine with the food it accompanies. That’s crucial to making an everyday dinner something to relish. You have to pay attention to the way the wine and the food mesh. 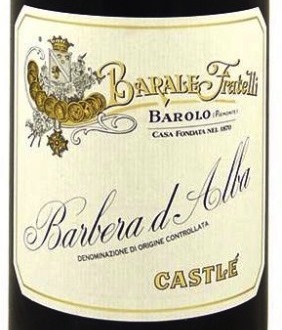 Much as I love mature Barolo and Barbaresco, I don’t want to drink them with a dish of frankfurters and beans. It’s disproportionate – and besides, good franks and beans are estimable in their own right and deserve a decent wine that works well with them. Don’t send a Brunello to do what a Bardolino can do better, don’t open a Beaune Premier Cru where a Beaujolais Villages is what’s needed. Now, just what sort of everyday wines am I talking about? 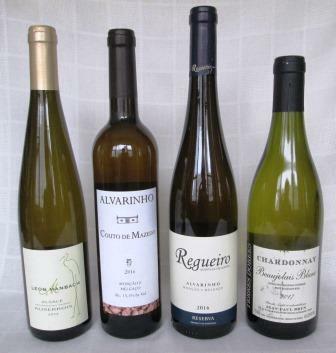 Well, here’s the case of white wines, all under $20, that I recently purchased, most of which I tasted first as an aperitif (we all need to keep up our strength while cooking) and then with dinner. Alsace Auxerrois Leon Manbach 2017 – Very pleasant, light, but substantial enough to handle a choucroute. Nice white-flower and mineral nose, round, but with enough acidity to work with food. Quite decent. Alvarinho Couto de Mazedo 2016 (Vinho Verde) – Very nice Albariño, crisp, fresh, aromatic: Good aperitif, fine with fish. Alvarinho Regueiro 2016 (Vinho Verde) – quite fine: rounder and fuller than the preceding wine, more dinner wine than aperitif. Excellent with a roasted orata (sea bream). Jean-Paul Brun Beaujolais Blanc 2017 – excellent Beaujolais producer. Nice unwooded Chardonnay, with round fruit and great freshness. Very enjoyable. Classic Domaine de l’Ecu Muscadet 2016 – This is a Muscadet producer I normally like very much, but this bottle was a bit of a disappointment. Drunk by itself, it tasted too much of oak. Food wiped that out to some extent, but it never rose to the level of crispness and sharpness I had hoped for. De Cranne Bordeaux Sec 2016 – Should have been really interesting (the blend is 40% Sauvignon gris, 25% Muscadelle, and 35% Semillon), but turned out to be somewhat coarse and disappointing. Gavi di Gavi Podere Merlina 2017 – Not a big, round Gavi, but a lighter-bodied, mineral-inflected example, with a marked and enjoyable citrus bite. Fine as aperitif and with lighter fare. Meyer-Fonné Alsace Gentil 2016 – A lovely Alsace wine, so floral that the initial taste seemed German, but it rounded beautifully with a pheasant pâté and roasted chicken thighs. Ribolla Gialla Ronchi di Cialla 2017 (Friuli Colli Orientali) – quite fine and characteristic. Stood up beautifully to a choucroute garnie, and I don’t know how much more you can ask of a white wine. Rioja Blanca Real Rubio 2017 – A bit disappointing: old-fashioned, slightly oxidized white, not unpleasant but with no charm. Timorasso Colli del Timorasso Ricci 2014 – A lovely light Timorasso, soft-bodied but with sufficient acid; floral aroma and delicate palate of dry pear and apricot. Very enjoyable. 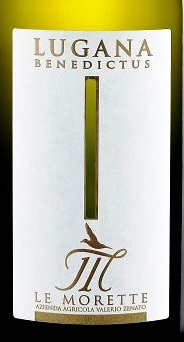 Weszeli Grüner Veltliner Langenlois 2017 – Very good and characteristic Grüner, with nice balance, body, and minerality. Partnered quite nicely with Chinese dumplings and home-made egg foo young. Bright, light on palate. I grant you that this is not an earthshakingly exotic list of wines: Had I wished, I could have cast a much wider net. But these are the kind of wines I like, so this time around I stuck with them. Others, of course are free to be as experimental as they wish: There were 88 other wines on the list I was choosing from. Have fun! “One Fine Wine” is an occasional series of posts about wines I’ve enjoyed recently. This is a post I should have written years ago. Greco di Tufo is a wine I love, drink often, and always enjoy deeply on the palate and in the mind. It reverberates with me, and no Greco di Tufo does so more than Benito Ferrara’s, especially his cru, Vigna Cicogna – the Stork Vineyard. It would be nice is there actually was one, nesting or feeding nearby, but the name is memorable enough even without the leggy bird itself. I had a bottle of Ferrara’s 2016 Cicogna just a few weeks ago, to accompany an improvised dish of fresh cod and potatoes in a spicy tomato sauce. It was serendipitous in every respect, and the Greco just sang, even after the main dish was done and we had started cracking a few toasted hazelnuts and walnuts to finish the wine with: the Greco improvised a few notes to harmonize with them too. I’ve admired Greco di Tufo for years, from back when Mastroberardino’s was almost the only example of the variety and appellation to be found on the American market. Mastro still makes one of the best examples of the breed, but many fine small growers in the Tufo zone have begun bottling their own wines, and Ferrara is one of the finest of the lot. It makes an odd picture: beautifully tended vineyards, hillsides thickly forested – still – with chestnut trees and hazelnuts, and a distinct whiff of sulfur in the clear air. The scent is often present in the wines of the zone also, sweetened and made welcoming by the other scents of fruit and forest that the grapes convey. Greco can be a tough variety to work with. It ripens late – October – and that can be dicey for any grape, but especially for one that grows as high in the hills as Greco does. And it is quite thick-skinned, so a lot of coloring agents leach out in fermentation, making the new wine occasionally brownish, often dark gold, as if old and oxidized. This is a bit ironic, since Greco di Tufo, while thoroughly delightful to drink young, no matter what its color, is one of those remarkable white wines that ages quite well and continues to drink enjoyably for years – no matter what its color. Benito Ferrara is a fourth-generation family estate, currently operated by Gabriella Ferrara and her husband Sergio Ambrosino. 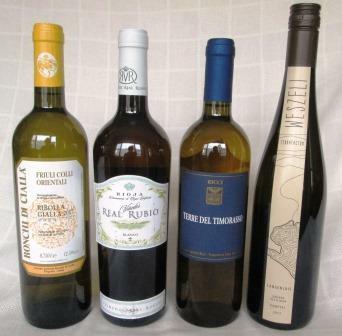 It’s not huge: 8 hectares of Greco di Tufo, 1 of Fiano di Avelino, and 3.5 of Taurasi. 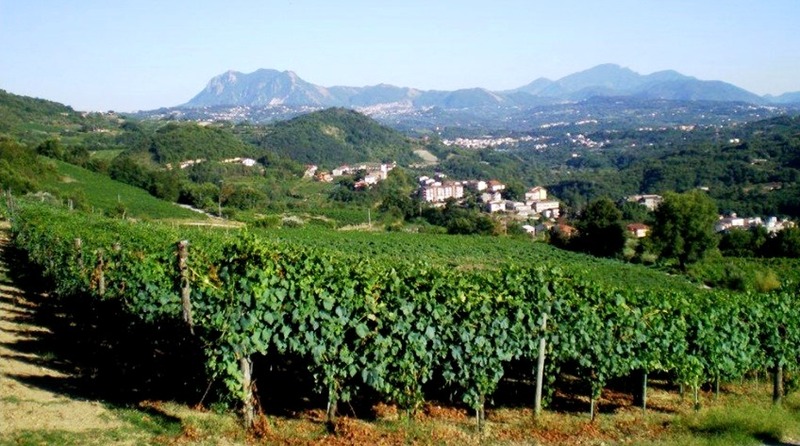 The Cicogna vineyard, at 1.5 hectares, forms a sizable fraction of it, and it is high, nearly 600 meters up. Several years ago, when I visited, Gabriella and Sergio let me taste, in addition to their prized Cicogna, wines from three other sites that went into their basic Greco di Tufo. I understate when I say I was impressed: I thought each of the three was delicious enough and distinctive enough to be bottled separately as a cru in its own right. This is first-rate terroir, and the Ferraras are making the most of it. Incidentally, in the important reference book Native Wine Grapes of Italy, author Ian d’Agata calls Vigna Cicogna one of Italy’s ten best white wines, and I can’t say I disagree: This is just one fine wine, plain and simple. 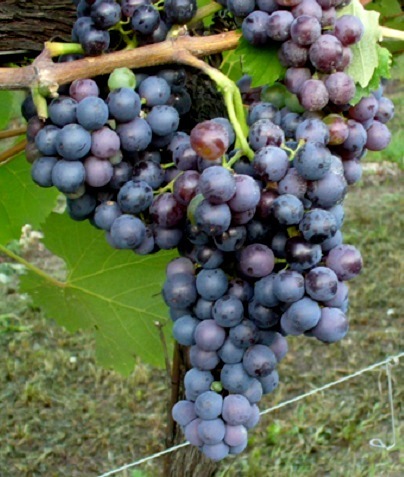 Postscript: A DNA study has claimed that the Greco grape is the same variety as Asprinio. Jancis Robinson’s influential Wine Grapes accepts this claim, rather uncritically I think, since it is based on a very small sampling of both grapes. Allowing for all possible differences caused by soils, cultivation, and vinification, my palate can’t discern any similarity between the wines of the two, so I conclude that this study is flawed and more work needs to be done. I’m happy that Ian d’Agata is of the same opinion, for much the same reasons. With its recently released 2019 edition, its fifth, Daniele Cernilli’s Essential Guide to Italian Wine has come of age. Published now in Italian, English, and German editions, well over 600 pages long (and well indexed), and reviewing 1,134 estates and 2,809 wines, the Essential Guide certainly covers the Italian wines that a North American consumer needs to know about – in fact, many more than are currently available in this hemisphere. But one can always hope. Cernilli’s Guide is organized in the classic way, region by region, the producers listed alphabetically and awarded zero, one, two, or three stars based on their total production and track record; and selected individual wines scored on the now standard, to me infamous 100-point scale and their price range indicated – all useful information, handily presented. For those who may not recognize his name, Daniele Cernilli is a central figure in the Italian wine world, a critic of major importance and great knowledge. He was one of the founders of Gambero Rosso and was deeply involved not only in its editing but also in the whole process of its evaluations, which by way of their one-, two-, and three-bicchieri awards became the most prestigious of all of Italy’s ranking systems. When he and Gambero Rosso parted ways several years back, Cernilli reinvented himself as Doctor Wine and began creating his Essential Guide. I shudder to think of the amount of work it took to bring it to its present condition, especially since Cernilli and his co-workers do not solicit samples or accept advertising from individual wineries. Instead they visit wineries, participate in regional and consorzio tastings, and even buy wines from the same sort of shops Italian consumers patronize. That last practice will send chills up the spines of wine magazine publishers on several continents. Full disclosure: I’ve known Daniele Cernilli for at least two decades. Even fuller disclosure: We don’t always agree – in fact, we have sometimes been on opposite sides of a wine, a winery, or a wine style. But I don’t know anyone who knows the wines of Italy – all of Italy – in greater depth than he does, so I always take his evaluations seriously. Solo MM 15 2015, Vodopivec, Friuli Venezia Giulia. Typical notes of flint, then fresh almond, wild herbs, elegant and extremely clear aromas. Agile and savory taste dominated by a magical freshness that gives elegance and drinkability to the wine. Smooth and long persistence. Great wine. We intend to evoke the style of vinification of the native vines of Irpinia (Greco, Fiano and Aglianico) as it took place between the end of the 50s and the beginning of the 70s of the twentieth century for Taurasi, and between the years 70 and 80 for the two noblest whites of Irpinia. It is, then, the style (or the Stilèma) of a family that interprets, over generations, the natural heritage of its territory, which makes it specific, as predestined to play a role in that land. Noble purposes, and already producing noble results. 100% Vitovska grapes. Fermented in amphora for 6 months then aged in large casks. Unfiltered. Bright straw yellow color. 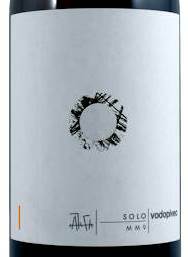 Austere nose offering notes of sea breeze and aromatic herbs. The palate is expressive, briny and citrusy; powerful and fresh, vibrant, and with a unique personality. Wonderful wine. That’s certainly detailed enough to prompt me to look for a bottle next time I’m in Italy, since I infer that it comes to this hemisphere only occasionally, in small quantities and at fairly high prices. A little research told me that Vitovska grapes are very localized within Friuli, had almost disappeared until rescued a decade or so ago by some devoted winemakers, and are now enjoying a small vogue in Italy. Worth a try? For sure. One of the year’s great white wines? Given my very uneven experiences with amphora-aged wines, I’d say that’s far less certain. But the surprising (to me at least) award pairing gives evidence, if any is needed, of just how unconventional and eclectic Cernilli’s palate is, how plugged in to the Italian wine scene he is, and how informative and useful – indeed, what a simply interesting read – his Essential Guide is. You can count on one finger the number of annual wine guides I enjoy picking up and just browsing in: This is it. Since this will be my final post of 2018, there can be no better time to wish you all a very happy and a very vinous New Year – which I do, most heartily. Cheers! Among the many reasons I had for giving thanks this year, I count Pelaverga high among my vinous blessings. 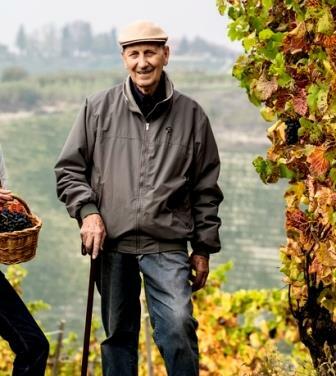 It’s yet another of those Italian grape varieties (of which, happily, there are now many) that was teetering on the edge of extinction when a handful of growers rescued it, lest another fragment of their youth and their heritage should disappear forever. The Burlotto family in Verduno, a town in Piedmont’s Cuneo province, appears to have been the first to make a serious commitment to Pelaverga. Long-time Barolo producers, they did this back in the 1970s, when it was beginning to appear that the whole Alba area was about to be engulfed by the most restricted form of monoculture – not just of grape vines, but of Nebbiolo exclusively. Forests that once yielded truffles gave way to vineyards, and vineyards that once grew Dolcetto and Barbera gave way to Nebbiolo. At that time, to devote a fine vineyard to Pelaverga, a grape unfashionably light-bodied and “unserious,” must have looked like lunacy. Now that I think about it, I should have reserved the top spot on my Thanksgiving list this year for all such lunatics: May they increase and multiply and replenish the earth. At any rate, the Burlotto family works both their eponymous estate and their Castello di Verduno estate. They gave over the latter’s Basadone vineyard to Pelaverga, and they have never regretted it. They still produce that wine today, and it is regarded by their colleagues and by the (still not enormous) corps of Pelaverga fanciers as the pace-setter for the variety. It has been joined over the years by more producers, almost always drawn from the ranks of traditional growers and those reluctant to see the best of the past slide away. In addition to Burlotto and Castello di Verduno, these include Fratelli Alessandria, Ascheri, and Bel Colle. 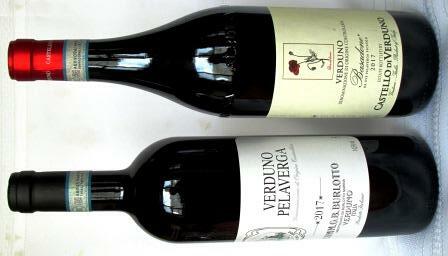 Reverdito and Terre del Barolo also make Pelaverga, but I haven’t had the chance to taste theirs. The very best I’ve had are Burlotto and Castello di Verduno, both of which I know are available in the US, albeit of limited supply. Let me be clear about this: Pelaverga is no mere nostalgia trip. Growers are cultivating Pelaverga because it makes a wonderful wine, bright and acid and charming, yet still substantial, still a true Piedmont wine. But Pelaverga is a difficult grape to manage: Let it hang too long or get too ripe (an increasing problem in these days of global warming) and its acidity drops like a rock, and with it the charm and fresh fruit that distinguish the variety. First-time tasters of Pelaverga almost always think of Beaujolais, because, like many Beaujolais it’s light in color, it almost always tastes lightly but distinctly of strawberry, and it has marked acidity. But there the resemblance ends: Pelaverga is an altogether guttier wine. 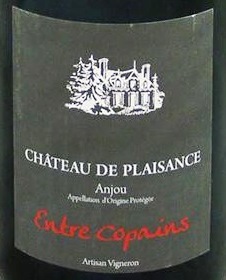 It reflects a terroir with a horizon of Alps, not the gentle hills of smiling, sunny Beaujeux. The wine weighs in as a middleweight, not a lightweight, and its fruit is almost always brightened by spiciness and pepper. Its low, soft tannins and bracing acidity make Pelaverga a versatile companion to many kinds of food: In the Piedmont, they love it with carne cruda and with local salume, as well as with pastas and risotto of all sorts. It seems to have a special affinity with mushroom dishes. In short, it’s happy with everything short of the biggest roasts – and I myself can certainly imagine enjoying it alongside a rare roast beef, even if it might, in that company, taste a little light. One caveat: The grape I’m describing here is Pelaverga piccolo, grown around the town of Verduno in the Barolo zone (hence often called Pelaverga di Verduno). There is an unrelated Piedmont grape that shares the name, Pelaverga grosso, grown around Turin. This is more often blended than vinified monovarietally, and indeed is often made into a rosé. Until quite recently, these two were thought to be identical, even though they yield very different wines. Pelaverga grosso is still of very localized production around Turin, and has not caught the attention of Italian enophiles the way Verduno’s Pelaverga piccolo has. For my palate, Pelaverga piccolo makes by far the more interesting and pleasurable wine, a wine distinctly different from Piedmont’s heavyweights, yet clearly still a child of the same soils and weather. Even for lovers of Italian wines, Lugana remains fairly unknown. If consumers recognize the name at all, they usually think of it as a kind of poor relative of Soave. 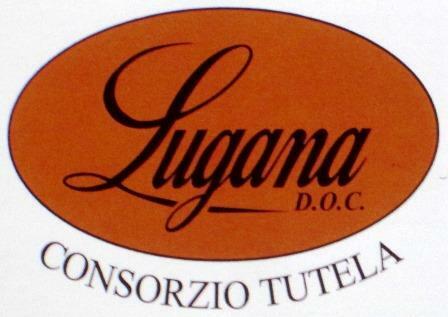 That may be about to change, however: The Consorzio of Lugana has begun actively promoting the wines of the zone as a distinct and distinctive entity well worth attention in its own right. I heartily agree. The recent Consorzio-sponsored tasting of Lugana wines I attended just a few weeks ago here in New York City confirmed the serious introduction to Lugana I’d had a year or so ago, when I visited wineries – primarily in the Veneto – on the southern and eastern shores of Lake Garda. The Lugana zone straddles the Lombardy-Veneto border on the southern end of that beautiful lake, more or less around the fascinating historical town Sirmione, which every poetry freak knows as the birthplace of the great Catullus. It’s a relatively small zone, but it profits mightily from the beneficent influence of the lake, which creates a sort of Mediterranean microclimate despite the zone’s inland location. Palm trees grow in Sirmione and other sheltered spots along the lake’s southern shore. The soils tend to be sandy and morainic, and the hills are gentle and undulating, with an abundance of fine exposures for the vines that for the past 500 years have covered them. Those vines bear the Turbiana grape, a variety unknown elsewhere in Italy. 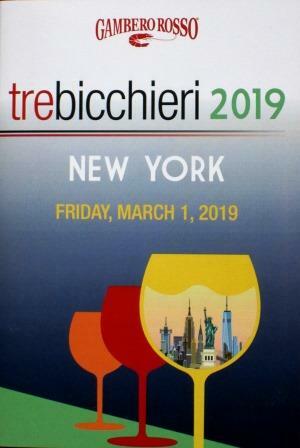 For a long while it was thought to be yet one more of Italy’s endless assortment of regional Trebbianos, but that now seems not to be so, though the situation is still far from clear. The most recent DNA studies show that Turbiana does have some connection – precisely what connection remains unknown – with the prized Soave clone of Trebbiano, but it also has some connection – precisely what is equally unresolved – with the prestigious Verdicchio of the Marche. Whatever the specifics of the matter may turn out to be, those are two good relatives for a grape to have. Both varieties produce white wines of great distinction and terrific ability to age – and Lugana rivals them in both respects. To demonstrate the aging ability of the variety, the Consorzio tasting offered a few older samples (almost all the wines on display were from the 2017 vintage), all of which I found quite impressive – very fresh, with lovely floral aromas and generous, strongly mineral palates. 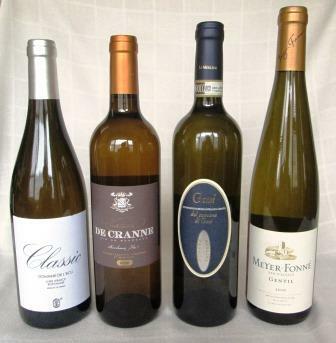 Consumers new to Italian white wines would probably think of very good Chablis, which is a valid comparison. 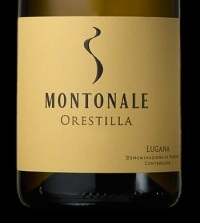 I tasted three – Marangona Lugana Vendemmia Tardiva Rabbiosa 2015, Montonale Lugana Orestilla 2012, and Perla del Garda Lugana Riserva Madre Perla 2011 – and liked them all, especially the 2012 Montonale, a beautiful wine that seemed to have enormous cellar potential. Here are a few notes (with all my usual caveats about the intensely subjective nature of all tasting notes) on the wines presented in the main part of the tasting. Lugana 2017: this first wine up set the bar with its fine typicity – pleasing floral aroma, delicious minerality on the palate, long-persisting finish. 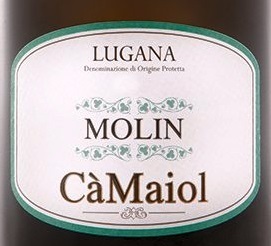 Lugana Molin 2017: an old-vine selection; quite nice indeed – bigger and a tad fatter than the basic wine. Lugana 2017: Vinified entirely in stainless steel; very fresh and fine, with great aromatics. Lugana 2017 “010”: From older vines than the wine above, with a touch of wood aging; bigger in the mouth, and firmer. 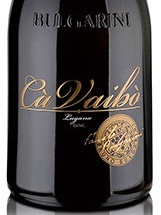 Lugana Superiore Ca’ Vaibo: crisp, fruity, mineral; very enjoyable, and structured for at least a few years’ aging. Lugana Mandolara 2017: A very classic – you could call it textbook – floral and mineral Lugana from a vineyard very near the shores of Lake Garda. I visited this estate on my earlier trip to the lake area. I was impressed with its wines at that time, and I still am. Lugana Riserva 2015: Bigger and softer than the basic wine, and still quite fresh; will go for years yet. Lugana 2017 Benedictus: A selection from the estate’s sunniest exposures, vinified with long (for a white wine) skin contact. The result is a fine, big wine that will take – and in my opinion needs – lots of time. Lugana Santa Caterina 2017: A lovely, biggish, very mineral wine from 35-year-old vines: quite nice. Lugana Imperiale 2017: This one is from young vines, and tastes lighter and brisker than the Santa Caterina. Very enjoyable. Lugana 2017: A touch closed in the mouth, but with a lovely, long finish that promises very well for its development. 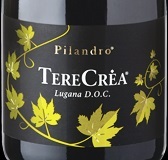 Lugana Terecrea 2017: A completely characteristic Lugana of great elegance. Lugana Arilica 2016: This wine has seen some oak aging, of which there is a slight hint on the palate; slightly rounder in the mouth than the two 2017s, and very fine. 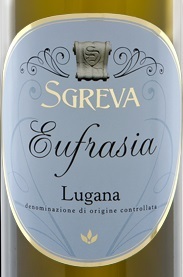 Lugana 2017 Eufrasia: This wine stays on its lees for three months before bottling. Very nice indeed, and quite typical, with a very long finish. Lugana 2017 Sirmio: This wine originates in sandier soil than the preceding, and it gets five months on its lees before bottling. A bigger, almost fatter wine, of slightly more intense character: quite enjoyable. So there you have it: a very good set of tastings, of high quality and excellent typicity across the board. Lugana seems to me to have a great future in the American market, where the crisp freshness of the young wines should make them very appealing as aperitifs, and the round, mouth-filling appeal of the older ones ought to make them very popular as dinner wines. I don’t think there is much more you can ask of a white wine, especially an essentially inexpensive one like Lugana.